This vessel is based in base Corfu in surrounding area of Ionian Sea in Greece. You can accommodate up to 9 pax on the yacht Coral . Configuration of beds is 9. There are 4 bedrooms located under yacht's deck. Coral has 2 heads with showers. 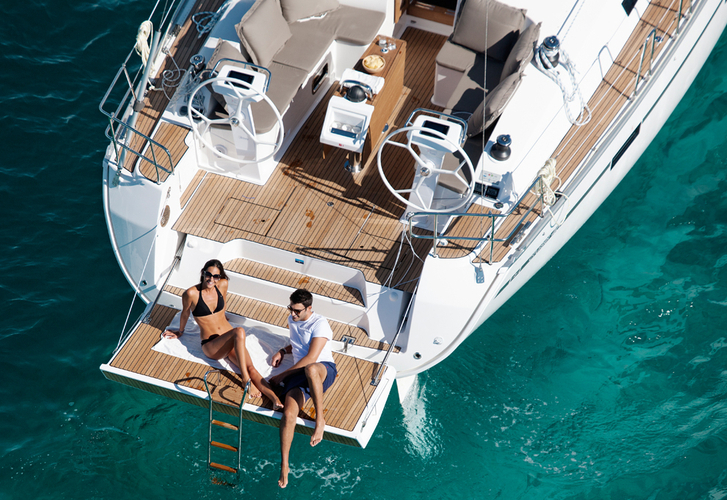 You can find more boats clicking here: Yacht charter Ionian Sea. Diesel tank is 210.00 l l. capacious , water tank has up to 350.00 l l. Bavaria Cruiser 46 Coral is equipped with: Bed linen. . Security deposit accounts for 2.00 EUR. Find about different yachts by navigating to this section: Yacht charter Corfu.